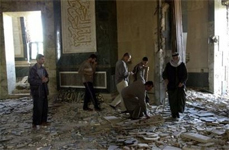 1,300 Iraqis are known to be dead from last weeks sectarian violence. 68 more killed as soon as curfew lifted. Sadly, Iraq has fallen into a civil war.